The residents just loved him :) He was great! Office Suites, Receptions, and Home Parties. 100% in either official language. des reels et des gigues, au violon, guitare et à l'accordéon. with fiddles guitar, bodhran, spoons, and accordion. Sens Unique engaged the audience with continuous energy. and we are hoping to have you back. Thank you for a great French Connection yesterday! formé de trois frères, un cousin et un ami. avec des arrangements festifs qui ne laissent personne indifférent. and put a smile on everyone’s face that he came in contact with. We would definitely like to have him back with us again next year. It went extremely well! Exceeded my expectations! with basic western music chromatic half steps. It's a beautiful, subtle, captivating sound/tone when played. Eddie was amazing!!!! He is still playing now, love it!!!! and the audience enjoyed his performance. Eddie was great. Residents really enjoyed his show. and answer their questions afterwards. and bring him back in the future. HE WAS AMAZING!!! Member’s loved him!!! He was amazing. Residents loved him. Everyone told us it was the best party we ever had. we’ve never had dancing before! "Too much of a good thing is...absolutely wonderful." Great music last night from you and your fellow musicians. "McNamara's Band" before; last night I did. We look forward to hearing the band again. music fabulous especially the Newfie songs and those Irish ones. You have a great group there, and the ambiance was excellent. in Ottawa on St-Patrick’s day and so well played. It was a honor to listening to you all. filled with such warm atmosphere. helping make our event so successful! how much they enjoyed the music. Quelle belle musique ce midi. Merci. Thanks so much for coming in Sunday. I have heard nothing but positive feedback! Everyone enjoyed the music and had a great time! especially the Newfie songs and those Irish ones. Thank you so much for coming. It was a great night. and loved the band. They want me to book you back in! Thank you so much for the wonderful Halloween Party that you threw for us. The residents were talking about how much fun they had for days. Thanks to you and the group for a fabulous evening! The community members are raving about the fun evening. with interacting with them and great performance. Company in Eganville. Peter hosts a monthly jazz night in Perth. "The Welsh Guy with the Big Smile"
A very comical act for one or two sets. and my rubber wellies (farmers' rubber boots) on the wrong feet. "Musical Comedy and Variety Shows"
and very interactive with our small group. and some language and meanings. I am so impressed with him. He was amazing! Vincent can also talk about various styles of music. He collects music from all over the world. Vincent was very good. Everyone enjoyed his music. I would like to have him back sometime next year. I will let you know. and music from around the world. Lively music to delight any audience. You and the Fiddle Chicks were perfect. It was a lovely afternoon, enjoyed by all! Many thanks! and from what I hear – very much enjoyed! Thanks for a wonderful performance at my Halloween party. and boy, did we get it. who played a frame drum, or poyk, sometimes called baraban. mounted on top, which is struck by a beater. enjoyed the music and the dancing. Thanks a lot! Hank Williams, George Jones, Roger Miller, Webb Pierce. It went great. Residents were very happy with them! for our Mad Hatter Tea Party! The Opera Night with Carrie and Angela was wonderful. and piano pieces for their performance. Everyone attending truly enjoyed it. Thank you so much Lois for your referral. indicated that they loved your music! attendees during the community breakfast and to the festival! You were both fabulous at the Festival and had everyone tapping their feet. Noreen Young, Artistic Director – Puppet’s Up! who were enamoured with him. Albert was extremely professional and easy going. He has an excellent way of judging the crowd. He made our night extra romantic and special. and rollicking Celtic music and song. who is extremely generous with his talent. We are deeply grateful for his largesse. It went great. Thank you so much for finding Paddy for us. Paddy was excellent. Played for over an hour straight. A number of people gravitated to him after the show. Mrs. Gillissie even helped put the chairs away, real down home people. Patrick was GREAT on Monday afternoon – showed up in good time, all decked out in his kilt etc. I told him he’d be great for Robbie Burns day but that timing’s a bit short notice now too! Any chance he’d be available in the afternoon on March 17th for a St. Patty’s day theme party? at our home before. And the residents loved the kilt! The residents really appreciated their music and humour. They would like to have them back! It was fantastic!! Our members thoroughly enjoyed them. but they showed up and were ready to go on time – very reliable fellows. were the best band in all the international conferences! It went very well. The residents loved it. WOW!!! Dale brought 8 instruments. The residents thought they were great. Thank you so much for finding them for us. We will have them back. It went great with the Swing Guys. and thank you for recommending them to me. I will be sure to pass along your information. It went well. The residents enjoyed them very much. Robert has a great voice and plays the piano very well. to be having fun while playing for the crowd. The residents enjoyed their music. Robert and Penelope were wonderful. guitar and bass and is played by tapping the strings. she plays the spoons, harmonica, and piano. It was incredible! They were amazing!! The residents loved them!! and look forward to doing business with you for our other events. They loved him. He is perfect for a Sunday afternoon tea. I will book him in the future. It went very well, thank you! Evan is a very talented musician and great to work with. to perform for the Queen Elizabeth II at Balmoral Castle. on St. Patrick’s Day at Casey’s Grill Bar. It was wonderful! Thank you so much for arranging the talent. They were both really great and loved by the Residents. The ladies were fantastic as always! Very highly recommended from us here at Maplewood. and giving us little tidbits about the history and origin of each dance. Very professional and beautiful to watch. The wedding is over - spectacular. and received a large ovation from the audience! and the residents LOVED IT. Everyone seemed to be enjoying his music. I personally quite liked his repertoire. He interacted with the crowd, introduced songs, was not shy to chat. as well as a few jokes and audience participation. and then together they perform as a duo. Dancing and having a good time is obligatory! playing for competition, military, police and fire service pipe bands. for Her Majesty, Queen Elizabeth II. He is great. Everyone enjoyed it. He knows his stuff! Thanks. Fantastic - he was great! Graeme was awesome on Friday. Retired Military Member with Four Fears Piping Experience. the RCMP Pipes and Drums of the National Capital Region. and in the presence of Her Majesty Queen Elizabeth II. to your Burn’s Supper with his Address to the Haggis. as pipe major of Air Command Pipes & Drums in Ottawa. in 1995 as the Canadian Forces Senior Pipe Major. Personal Piper to successive Governors General of Canada. Ellen was punctual, friendly, engaging and professional. by the residents of New Edinburgh Square. All went very well, and Ellen played beautifully! and it has such ambiance. it made for a lovely evening! how fantastic you three were. "Bring Summer Back Beach Party"
Really great. Thank you ! The "Hawaiian Luau" performance went very well with The Diplomats. They were very entertaining, and the residents loved them. Also everyone got a great kick out of all their costume changes! We had ball…they were fantastic…Thank you. that none of us will ever forget! and I would hire them again. I wanted to thank you for the lovely band you sent. We will definitely have them again to entertain us. to say the least! They are full of surprises. we have had all year! We hope to have them back again soon. The residents here really enjoyed their show. We would love to have them back. They were amazing. Thank you! Great! the residents loved them. and we need to have them back again, and again. They were so amazing, the residents are still raving about them! Dale was amazing! Such great talent! Everybody was very impressed. because there were so many instruments! The party went really well. The residents are still talking about it. They danced the evening away. Dale was great! Everyone was pleased. and it flowed throughout the evening. Résidence Chapel Hill Retirement Residence. I would love to book them again and have them back. Raymundo was great! The members enjoyed how different it was. Omg - yesterday was an excellent turn out. and Irena. They were wonderful. The residents loved Irena. We got up and started to dance. to post on our Facebook page because this was way too much fun. We were extremely pleased with Larry's performance. You were right on target with your recommendation for this event. Larry was really professional, and we all loved his music. and most suitable for the occasion. as these songs mean a great deal to them. and making eye contact and communicating with the guests. The evening went very well. the perfect mood/background music for the start of the evening. Larry was absolutely fantastic. The residents just loved him. that we will be looking forward to booking him again. It went great, thank you so much! We had a wonderful time and created a great memory. It was perfect! And even emotional for my husband and his father. The event with Larry went very well. He is great. I would like to have him sometime again. Fantaisie-Impromptu (Chopin), You Are My Sunshine. Cent Mille Chansons, Y'a Une Étoile Pour Vous. Just wanted to let you know that Albert was great last night! It went very well. He is a pleasure. Very accommodating. Look forward to working with him again. I got so many compliments from residents and family. They were so happy with his performance. I will book him again. Thank you so much. They got everyone up and dancing. The Ottawa Citizen came in to cover it. Portuguese Songs - Bossa Nova. your guests are sure to remember. loved the show. Lots of positive feedback. Thanks again. All was excellent. As usual. Many thanks. and interactive story times with puppets and mini-costumes. A Paper Bag Princess by Robert Munch and the song, Little Bunny Foo-Foo. dating from the 1950's to 1980's. and we received rave reviews of their performance. And we look forward to working with you in the future! and slap dancers to her live performance mix. infectious hooks and emotional delivery! that focuses on “Outlaw Country” of the 60’s and 70’s. Waylon Jennings, Johnny Cash, and Willie Nelson. Formed in 2009, the band is composed of 25-30 members. (with a dash of rock n' Country). Dance and sing along to some of the best party music ever made. "Feisty take on Canadian Celtic music"
"Celtic band of the 21st century"
Fit as a Fiddle Canada's one-hour show is action-packed. to join in and sing along with them. not to have a good time!" which was well received by everyone. but time got away from us! We will definitely want him back next year!! such as the Rex and the Montreal Bistro. Produced Ron Sexsmith: "Grand Opera Lane"
Bruce McCulloch: "Shame Based Man"
George plays electric and acoustic guitars, bass and banjo. both in Canada and the United States. in shows compiled from those appearances. "Two Nuts Roasting on an Open Fire"
was nominate for a Gemini award. and Dustin Hoffman (right) as his father. in the pivotal wedding scene. Richard J Lewis and produced by Robert Lantos. The screenplay was written by Montreal native, Michael Konyves. Solo and performances with other artists. by the folk tradition from both sides of the Atlantic. of remote destinations and gems of nature right to your door. National Geographic locations and photography. John is an outstanding storyteller. and opened the theatre company SevenThirty Productions. John was a regular tenant of The Gladstone Theatre. He's a terrific director and raconteur. hear about his exploits in the theatrical world. as well as a Managing Editor of Features and Arts. and a member of the British Guild of Drama Adjudicators. John was good. The residents enjoyed the stories. Audiences enjoy very much the Q&A part of my talks. They love to talk about favourite or despised movies. a highlight of the week for many CBC listeners. he has seen over the last few years. Robert is an energetic and entertaining presenter. 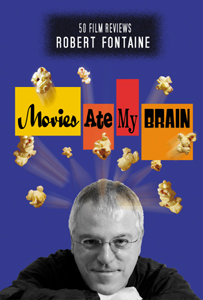 a film critic tick (and occasionally explode)? by Ottawa Life Magazine, 2002. She is listed in "Who's Who in Canadian Film and Television. purchased Siegel’s documentary film BASEBALL GIRLS. Siegel taught Video Production at the University of Ottawa. as part of their "Drive-in Classics" series. International Sports Film Festival in Palermo, Italy. and TV New Brunswick in Canada. by “TAKE ONE” film magazine: Toronto Film Critics’ Poll. broadcast on Bravo Channel, and "STRANGERS IN TOWN"
filmmaker, writer, photographer, professor, and would-be fiddler. at the University of Ottawa for 18 years. (2004) for her portrait of “The Crowd” trumpeter Adam Bell. and 3rd place (2002) for her portrait of Italian Actress Sophia Loren. at the Montreal World Film Festival in 2002. John Zaritsky has won more than 40 awards for his documentary films. who had gone missing while on his way to summer school. to track down the two killers of the teenage boy. First broadcast on the CBC’s Fifth Estate, April, 1981.
the Graduate School of Journalism, University of California, Berkeley. Zaritsky worked as a newspaper reporter for seven years. Washington Journalism Center for six months. at Canada’s national newspaper, the Globe and Mail, 1972.
who is dying of ALS or Lou Gehrig’s disease. with her jokes and quips about death and dying. Nine awards at 15 festivals. to record a song for Ethiopian famine victims. by the Canadian Broadcasting Corporation in December, 1985.